Yesterday was a tough day to try to get attention for a Senate hearing on the future of Amtrak’s Northeast Corridor. After all, at least one senator had gotten a poisonous letter and everyone on Capitol Hill was on high alert. What’s more, the Amtrak hearing coincided with the vote on gun control, one of the most dramatic and high-stakes votes in the body so far this session. Even Commerce Committee Chair Jay Rockefeller, a passionate supporter of Amtrak, gave his opening statement and scooted out of the room to join the action on the Senate floor. He put in a plug for his infrastructure bank bill and encouraged the transportation establishment to break down its modal siloes, which he compared to the intelligence community’s turf battles that were exposed after 9/11. Frank Lautenberg’s absence at a hearing on his beloved Northeast Corridor was glaring. Health problems have kept Lautenberg away from the Hill for about a month, and though he did make it back yesterday – in a wheelchair – to vote for the gun control measure, he didn’t make an appearance at the hearing. 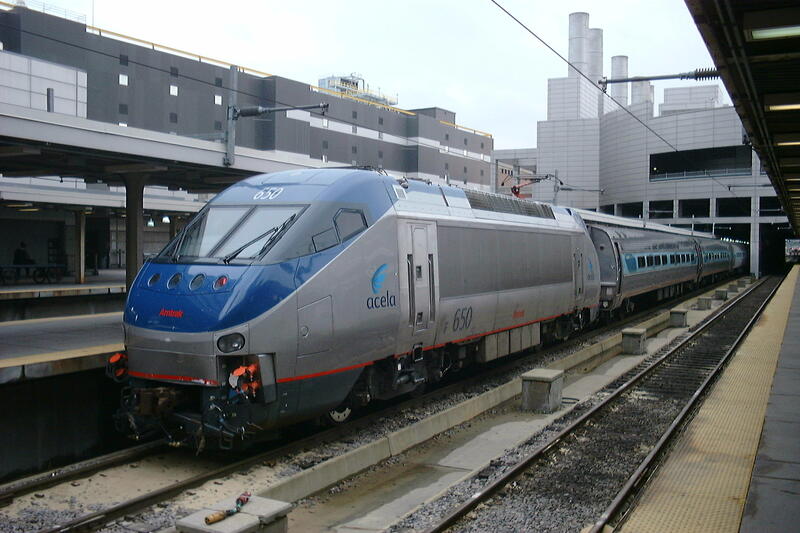 The Northeast Corridor carries twice as many trains today as in 1976, said Amtrak CEO Joe Boardman, making the corridor “among the most heavily-used rail lines in world.” About 150 Amtrak trains, 2,000 commuter trains (run by eight different agencies), and 70 freight trains run up and down that track daily. Boardman speaks at a lot of hearings and conferences and he’s clearly getting frustrated that his pleas for investment – and Amtrak’s record-breaking success in recent years – don’t get him anywhere. But what should that commitment look like? European rail consultant Jim Steer had some concrete suggestions, based on experiences in Great Britain, France and Italy. First, he said, major investment in the corridor has to be broken into manageable stages, with priority given to the Gateway project, which would alleviate a major chokepoint at the busiest part of the line. Given that implementation of any improvement plan is going to spread over decades, Steer said, there needs to be a clear mandate with federal and state governments delineating design outcomes, and there must be robust bipartisan support in order to avoid a “stop/go situation.” And there needs to be funding upfront. Steer also praised Amtrak’s plan to separate the management of infrastructure from train operations, in part because track fees charged to operators provide a revenue stream that will help attract other investors. But as Boardman noted later, that means that much of the money to pay back the private sector will be coming from other public entities – the transit systems and commuter trains that use the track. The Republicans had invited Richard Geddes of the American Enterprise Institute to give a full-throated endorsement of private investment. He said taxpayers were terrible at bearing financial risk, so that job should be outsourced to “professional risk-takers” in the private sector. Steer, however, said that a rail line needs to prove itself before the private sector steps up. In his testimony, he talked about a 189-mile line currently under construction between Tours and Bordeaux in France, an extension of an existing high-speed line between Paris and Tours. As Transportation Secretary Ray LaHood says often, every high-speed rail system in the world has been started with significant federal investment. There’s just no other way to do it. The rail reauthorization is a perfect time to re-commit to doing rail right, said John Tolman, vice president of the Brotherhood of Locomotive Engineers and Trainmen, a division of the Teamsters. Although the rail authorization isn’t on the same schedule as the reauthorization of the surface transportation program or the Highway Trust Fund, those could be reauthorized early to put them on the same schedule as the rail title and, finally, roll them all into one comprehensive bill, renaming the Highway Trust Fund the Transportation Trust Fund in the process. That’s what the president recommends in his budget proposal. It’s too bad rail got short-shrifted yesterday for gun control votes. With any luck, there will finally be a moment this year when rail gets it due. The best at being ineffective and maintaining the status quo! And don’t forget that the smell of crude oil is sooooooooooo attractive! fact that major cities are only a few hundred miles apart makes it workable. Hope the planners and policymakers don’t make things worse. Clearly, we, Americans, argue over pennies given to AMTRAK and other ventures that benefit US, citizens, on a daily basis. Why not open this conversation by eliminating subsidies to foreign countries that spit on our flags and kill our soldiers? Who am I talking about? PAKISTAN is one country that we give 8 billion dollars a year to who then turn around and fund TELEBAN who kills OUR YOUNG MEN AND WOMEN. IF you are going to talk about wasted government funds, bring this into the conversation FIRST.